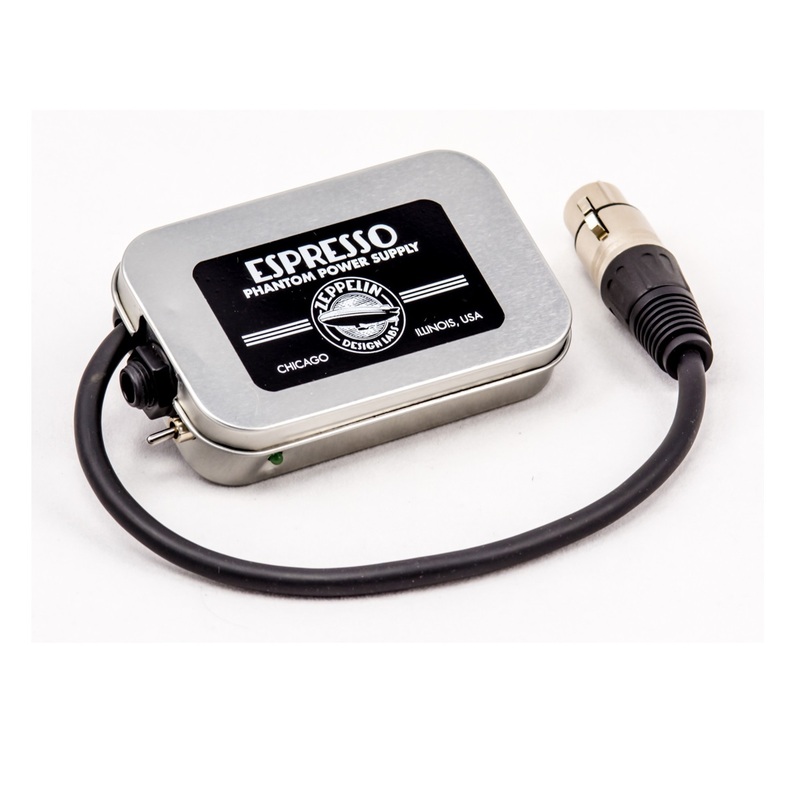 The Espresso Portable Phantom Power Supply converts a 9V battery into 30-48V adjustable phantom power. 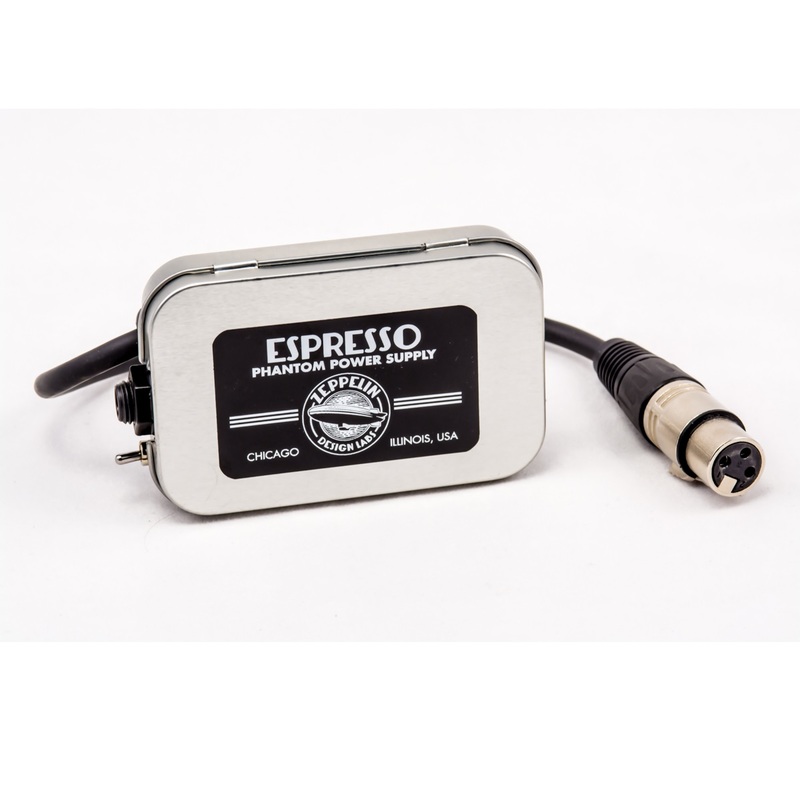 The Espresso Portable Phantom Power Supply is designed specifically to power the Cortado Contact Mic in situations where phantom power isn’t otherwise available, but it can power any mic requiring 30-48V phantom power at current draw of up to 5 mA. 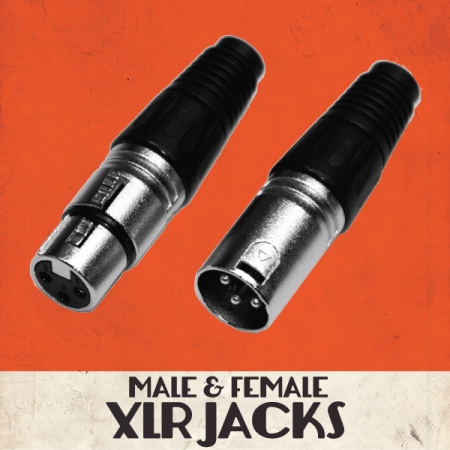 It has one XLR female input to one 1/4″ TRS female output. 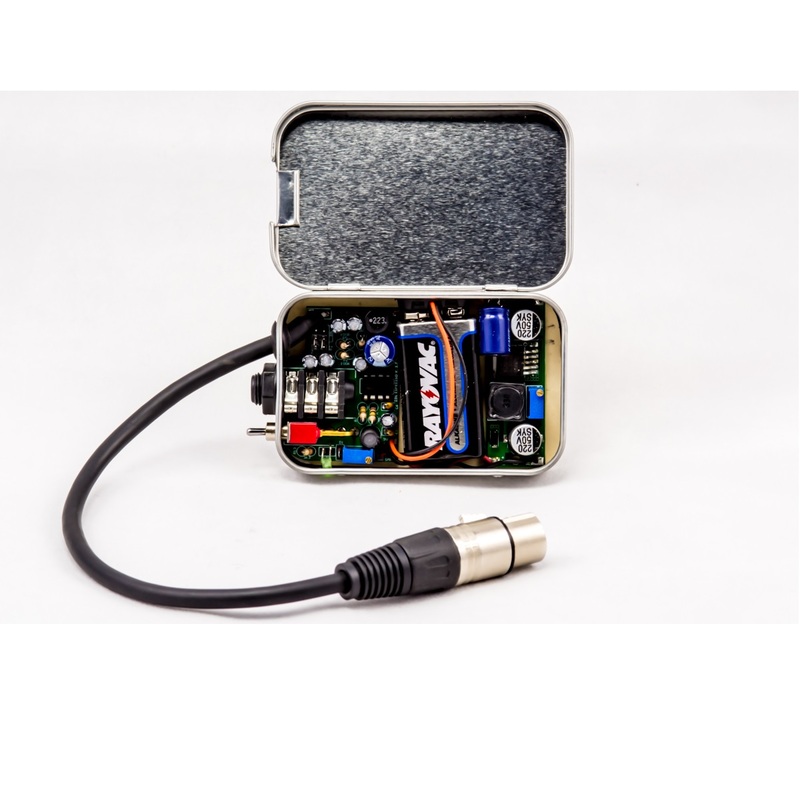 The output can be configured for either mic level balanced signal or line level unbalanced signal. The Espresso has a couple of unique applications. First, when joined with a SmartPhone Adapter Cable, it can send a mic signal straight into your I-Phone, Android or other SmartPhone. The Espresso sits easily in the palm of your hand along with the phone. The result is high-quality, truly mobile recording. 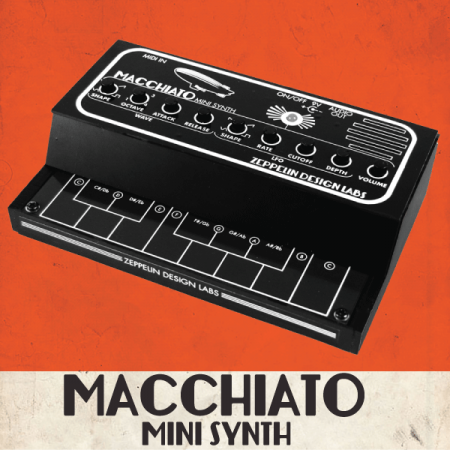 Second, by simply moving an internal jumper, you can configure the Espresso to output an unbalanced, line-level signal. 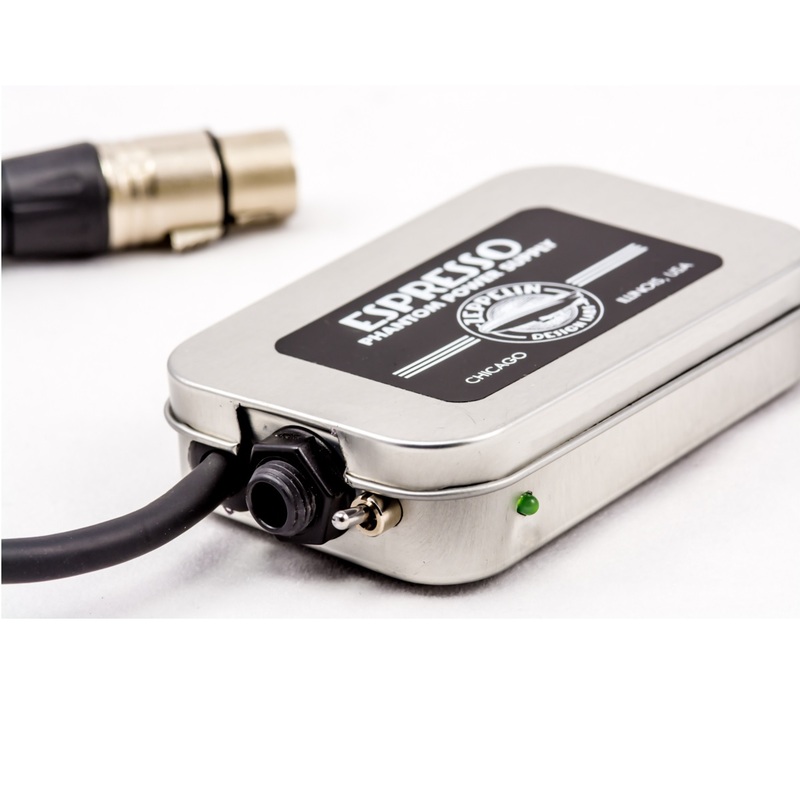 This allows you to run a contact or condenser mic signal straight into an instrument amp without use of a preamp or DI box. This is especially handy for acoustic instruments equipped with piezo pickups. Soldering Iron (not a soldering gun, or a “cold heat” iron), good quality, 15-50 watt, with a good medium or small sized tip, conical or “screwdriver” shape. One with a temperature control and a stand is best. Some sort of clamp or fixture to hold the printed circuit board while soldering (optional, but it’s nice to work with). 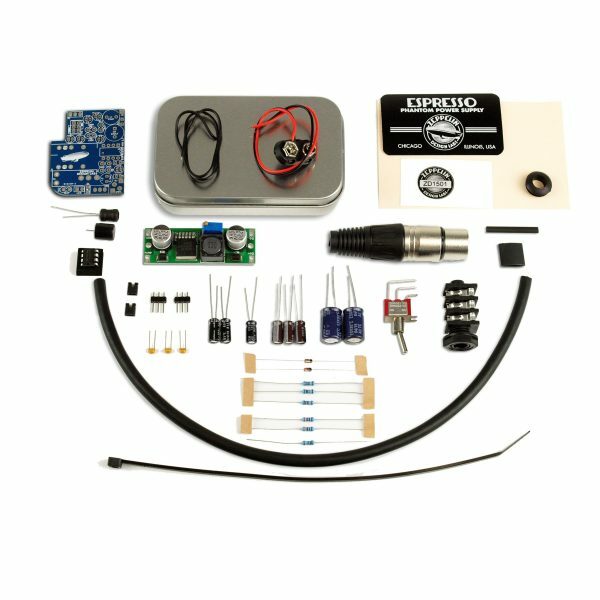 Solder sucker or solder braid – optional, but very handy if you have to remove / repair any components! Solder, 60/40 rosin core, the smaller diameter the better; we prefer .032” (20-22 AWG, 0.81mm) diameter. Make sure it’s good quality; we prefer Kester brand, but the Radio Shack brand will work fine. 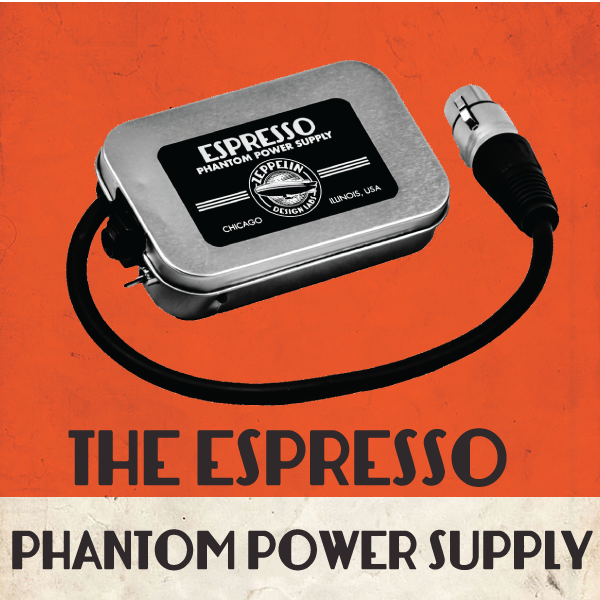 Download the Espresso Owners Manual - 1 MB (pdf), essential for EVERYONE! 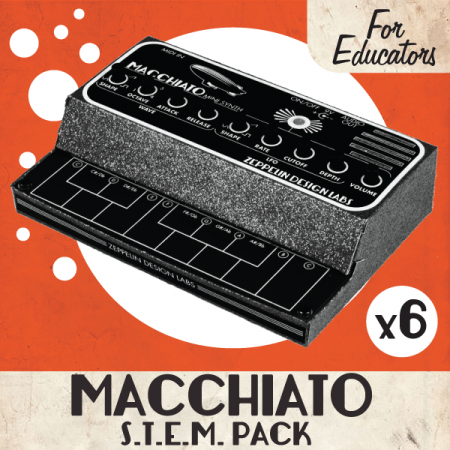 Download the Espresso Assembly Manual - 7.3 MB (pdf), useful for kit builders only. The Hula Mic: See how we turn a Cortado, an Espresso, a hula hoop and a clock into a crazy vocal mic!